Our little boy turned three years old today. The grand finale in the long, dramatic story of how God built our family, he is sunshine to us. He still sleeps in the middle of our king-size bed and his sisters adore him. We think everything he does is either hilarious or precious. Truth be told, it pains my heart to discipline him as we enter these years that make it so very clear that it's time to get a grip on the man child and teach him - perhaps for the first time - that this world does not revolve around him after all. When you've buried a child, it is a constant struggle to reserve your worship for God and not the little ones He creates. To see life leave the body of the baby you brought in this world will rock you to your core and leave your soul screaming to see life fill your home, your family, your children again. I realize that is too heavy a sentence for many to even read. Imagine how much harder it is for the countless women who live in light of that reality day in and day out. Spoken of or silenced, the reality remains. Bereaved women are looking back at you in the grocery aisles, the church pews, and the car rider pick up line. They're sitting on the park benches watching their living children play, trying to pretend they don't see a void where their other child would have been if they'd had their way. They're your coworkers, sisters, cousins, neighbors, grandmothers, and friends. They're you and they're me. Here's the thing though, we can fill in that blank with a whole lot of other descriptors, too. Sorrow and struggle come in all shapes and sizes. My label is not your label, but satan has tried his best to stick (at least) one on every last one of us. With each new day we face, we have the choice of embracing the identity Christ gives or the lies we've been clinging to. What happened to us does not get to define us. We are going through the motions, taking care of business, pulling ourselves up by our proverbial bootstraps, but our hearts are often lagging behind. The lies get loud, the struggle gets real, and none of that goes away when we find ourselves in situations where it is easier to wear a smile and blend. There is no denying what has happened to us, but it is time we acknowledge how much greater our God is. I would love to separate the sorrow of my story from the ministry God has given me, but I can no more do that and not be a fraud than I can remove an arm or a leg. It's a part of me. It's affected the way I walk. It's changed my life. It's part of the story entrusted to me. That said, neither my arm nor my leg nor my sorrow define me. Christ alone holds that power. The enemy told me a different story for a long time. Over the years, many people have asked how I found joy again, how I can smile way more often than I cry, how I wade through the seasons that come our way and keep my faith intact. Those questions leave me with a contorted expression on my face because there's just really no answer apart from Jesus. I realize, 99% of the time, the ones asking those questions want to hear any other answer and if there were one, I'd be happy to give it to them. There's not. There's never been a more stubborn woman than this one. I struggle to be gentle, I question everything and analyze the answers when they come. A mother bear to the very core, I'll rage over injustice in a moment's notice. I am as apt to lie awake and worry about provision, the future, how every little detail is going to work out as anyone. The thing is, however, when we place our lives in the hands of Christ, we surrender the right to do any of that. As believers, we receive nothing life-giving in return for choosing fear over faith. 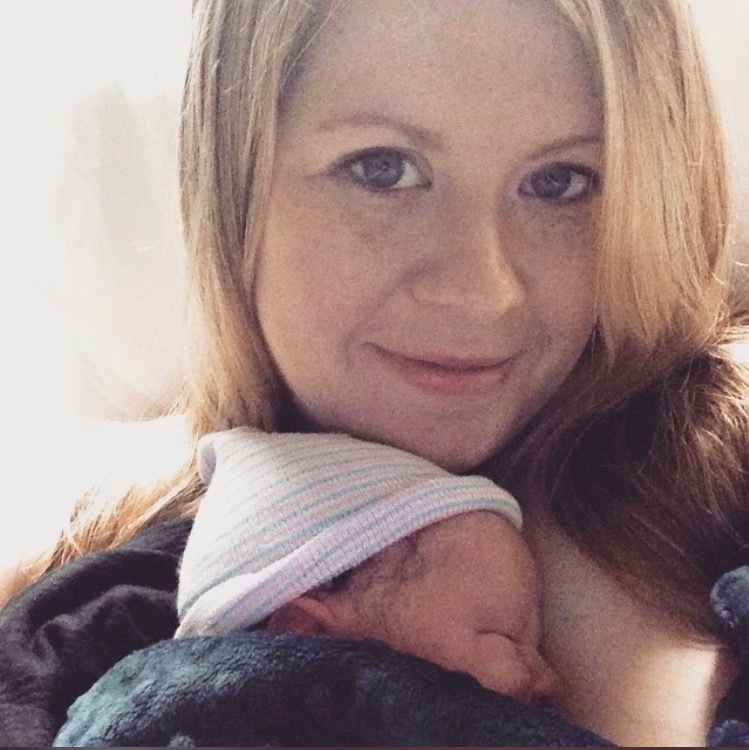 Choosing to keep my daughter's memory alive by continuing to speak of her and the lessons God taught us through her five-day-life is a choice many cannot understand. It's been insinuated that it would be so much easier - and more comfortable - for me and for the ones around me if I would have just "let that go" and moved on a long time ago. I found the courage to share my whole story with a coworker many years ago and in the midst of my story, she just scoffed and said, "I think I would have quit having kids a long time ago." I think she's right. I think she would have. I think most would have. I think I would have, if I had been in control. "And I saw a mighty angel proclaiming with a loud voice, "Who is worthy to open the scroll and break its seals And no one in heaven or on earth or under the earth was able to open the scroll or look into it, and I began to weep loudly because no one was found worthy to open the scroll or to look into it. And one of the elders said to me, "Weep no more; behold, the Lion of the tribe of Judah, the Root of David, has conquered, so that he can open the scroll and its seven seals." The same God referenced in Revelation, the only one in heaven or on earth or under the earth worthy to open the scroll, the mighty Lion of Judah - that's my God. Sorrow threatened to take my life and tear my family apart. I raged in my grief and was desperate for relief in those early days. Left to my own devices, I don't know where I might be today. Fear tried to strangle me. The weight of my reality felt great enough to crush me. My faithful Father took hold of my life and pulled me up out of the pits of despair. He put a new song in my mouth and gave me endless reasons to praise. He lit a fire in my bones. He showed me, through His Word, that He will make the devil sorry he ever messed with me. It may look like we are on the losing end for a little while, but friend, just you wait. The Lion is on the move. "He drew me up from the pit of destruction, out of the miry bog, and set my feet upon a rock, making my steps secure. He put a new song in my mouth, a song of praise to our God. Many will see and fear and put their trust in the Lord." Living by the life of Christ will restore our joy, fill us with purpose, and, in time, remove the sting from our wounds. The same power that called Lazarus right out of his grave calls me to rise and live in light of the death that surrounds me, too. It's the same power available to anyone seeking to trust in Christ. If I had listened to my emotions - or even to the emotions of the ones that were heartbroken right alongside me - I would have stayed right there in my grave clothes. Like Lazarus, my Lord wept with me and then He called me out. And life has never looked the same. If you know the rest of our story, you know God has made Himself known in great and mighty ways. His power and love cannot be contained and His faithfulness to us has spilled out all over everything around us. That He can do such a thing, write such a story, with such a stubborn mess like me, is testament to His power alone. Today, Miller Grace's little brother started his day blowing out a candle on top of a donut and ended it falling asleep watching a movie in a room full of giggling sisters. Life abounds in this little house bursting at its seems. Christ alone. We wouldn't have missed him for the world. Apart from the hope only God can give, we could have. When this photo was taken the night he was born, the peace in my eyes took me by surprise. After a long time - nine months or so - holding my breath, I had exhaled. God had taken away before, but then one day, in His grace, He had given again. We stand and we praise Him in every kind of weather in every kind of season. Not because we have anything figured out, but because He has proven Himself to be worthy and true. Whatever life looks like from where you are standing, peace can be yours. You can rest assured there is a mighty Lion on your side when you are trusting in Jesus Christ. When God is writing the story, the ending IS happy. If it's not happy, sister, it's probably because this is not the end. Praise Him. We are just getting started.